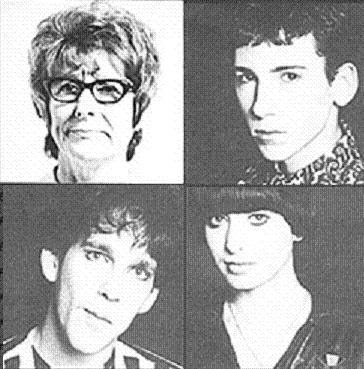 Voice Farm was a San Francisco electronic music band in the Synthpunk genre formed in 1981. The duo consisted of vocalists/keyboard players Myke Reilly and Charly Brown. They released two independent singles and 3 albums. The group earned national attention in 1990 as the opening act on Depeche Mode's U.S. concert tour. The history of Voice Farm can be traced back to the chance meeting of Charly Brown, an artist and musician from Portland, Ore and Myke Reilly who served a three month prison sentence in Berlin for experimenting with pirate television there. The circle was complete when former baseball player Ken Weller was added. Their first singles "Double Garage" and “Modern Things” were released in 1981, one year before the release of their debut album ‘The World We Live In’. The album was released on Optional/Systematic label and it was produced by David Kahne. The record featured mostly synthesizer driven sound with some ominous bass tones. 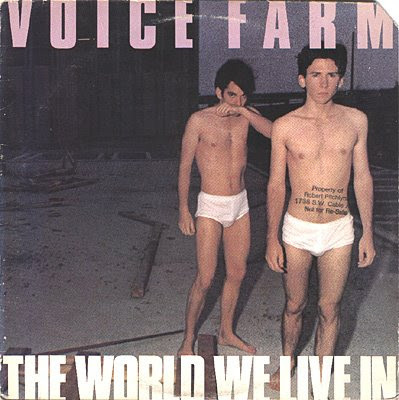 As a duo they released their self titled album ‘Voice Farm’ in 1987 which was radically different than the previous one. They added guitars and backing vocals to their danceable sound and combined dance beats with synthesized effects, found sounds. In 1991, they added Ken Weller to the group and released "Bigger Cooler Weirder" on Morgan Creek Records. They had some dance chart success with the songs "Free Love" & "Seeing Is Believing" but the label didn't take advantage of the momentum and let the band die even after landing a spot opening for Depeche Mode during their "Violator" tour and playing at Madison Square Garden and the Cow Palace. One of the last releases from the band was an independent release in 1995 called "The Love Experiment". Myke and Charly later found success in the music business: they produce music for television commercials.